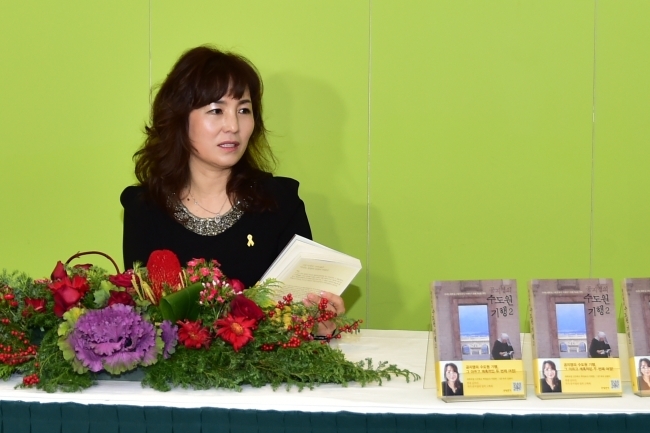 Best-selling novelist Gong Ji-young sued seven netizens for libel, claiming they circulated a false rumor about her private life and posted malicious comments online. Gong filed a complaint with the Seoul Central District Prosecutor’s Office against the netizens, who are accused of posting sexually insulting comments on major newspaper websites, Facebook and Twitter between December 2012 and November 2014, according to Yonhap. The nature of the rumor was not specified. From now on, she is planning to file complaints against people who libel her online, the representative added. The 51-year-old author is known here for her social activism and for openly discussing themes including dictatorship, feminism and the labor movement in her novels, with many of them becoming local bestsellers. Since her literary debut with “The Arrival of Dawn” in 1988, Gong has written many popular works, including “The Crucible” and “Our Happy Time,” both of which were made into films.